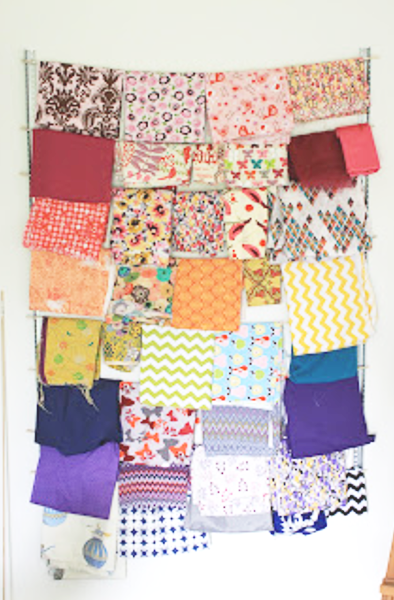 If your fabric stash taking over your craft room? Or maybe even your home? 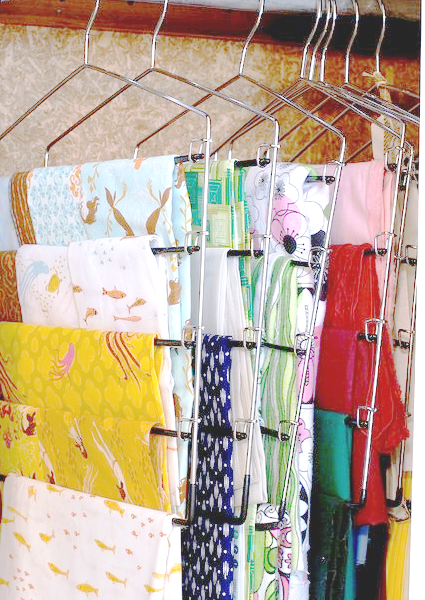 Here are a few brilliant ideas for storing and organizing your fabric stash. 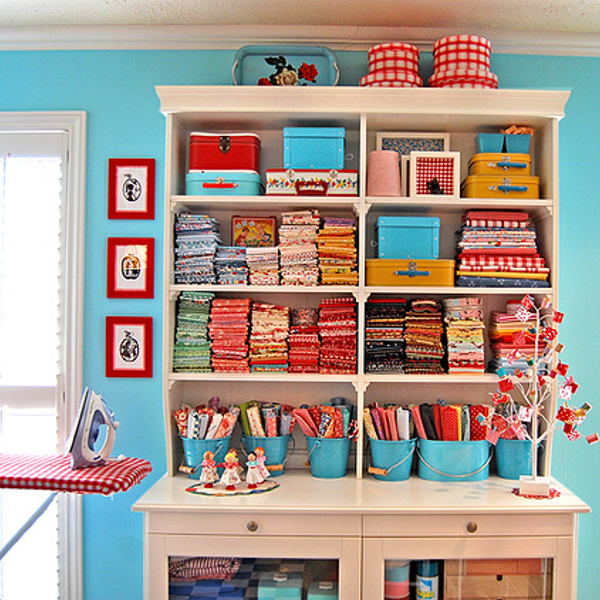 The glass containers mixed with the perfectly lined fabric in this photo is just beautiful. 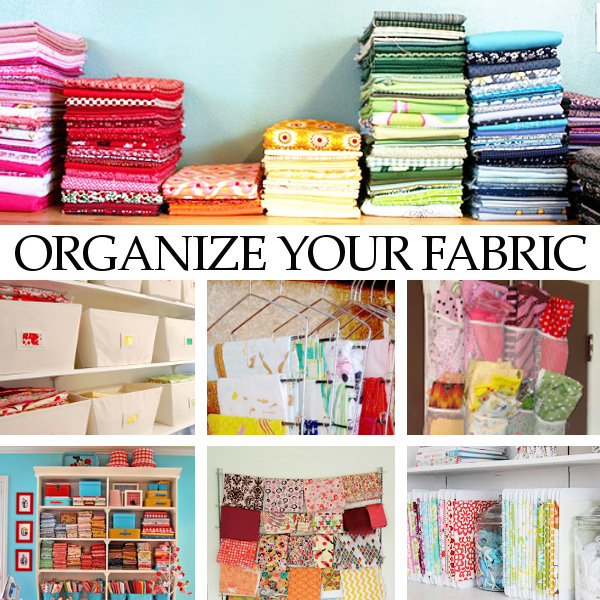 I love how the fabric is perfectly folded and stacked in this photo. And the buckets to hold smaller scraps are just darling. 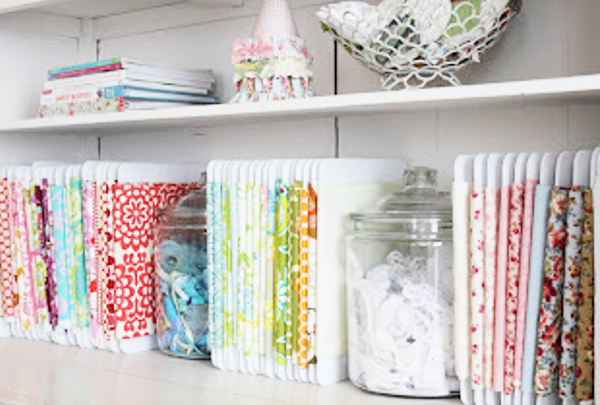 This is an amazing idea for organizing fabric. Although I think I would need about 20 of them to hold my entire collection. This is one of those ideas that are so simple I wonder why I didn't think of it. If you have extra closet space you can hang your fabric on pants hangers. This fabric is stored in bins (which I was trying to get away from) but by using smaller bins and adding labels to the front I think it would be much easier to find what you are looking for. I love how these drawers are cut allowing you to see what is inside of them even when they are closed. I also found this amazing tutorial on folding fabric. 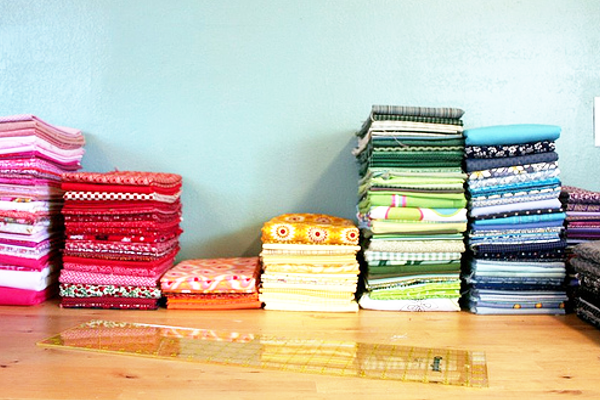 Don't these beautiful stacks just make you want to get started organizing your stash. 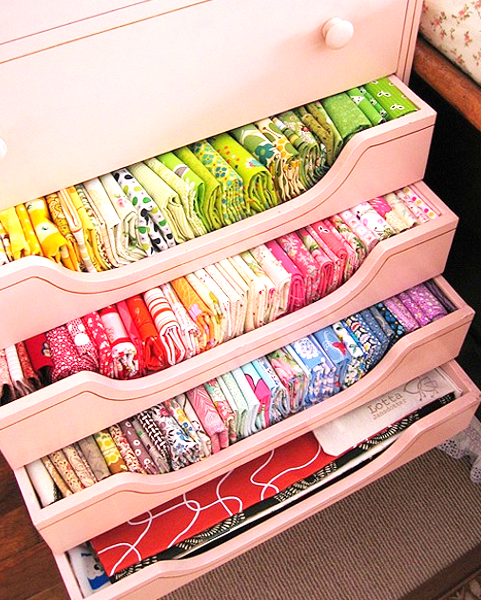 I wish I sewed so I could display those beautiful fabrics. In the first picture, each fabric is wrapped around some sort of white board. What are they and where do I get them? Thanks! This is going to get a little convoluted, but I want to give credit where credit is due. 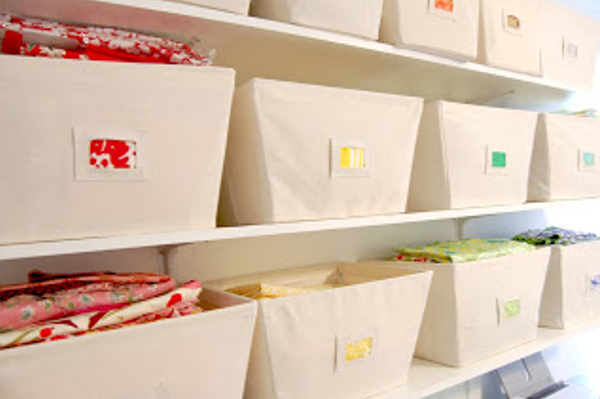 Lauren from The Thinking Closet posted on Made With Hugs & Kisses, and linked to your photo of the canvas bins with colored labels. I LOVE it! And I really enjoyed the ideas you put together here. Just wanted to show some love. Have a great day! (Love your sweet comment, London.) And the rumors are true! Since the original source for the canvas bins is no longer available, I linked to your awesome round-up here. Feel free to drop by and check it out anytime.